June is officially recognized as National Dairy Month, and the team at VetMeasure has been “moo-ving” our focus to how we can best serve dairy calves with our MeasureON! harness. With the help of top Dairy Science professors and veterinarians from Iowa State University, we are working to validate our harness in dairy calf trials with the ultimate goal to help producers better care for their calves from age birth to weaning. Did you know that heat stress is a major concern for dairy calves? As the temperature and humidity levels begin to rise with summer quickly approaching, calves are at an increased risk for heat stress which could then lead to a number of health problems. Producers work tirelessly to ensure they are providing proper care for their animals such as making sure they have enough energy in their diets to maintain body temperature, keeping them in a comfortable environment, and providing individual attention to meet all calves’ needs. The MeasureON! harness has the ability to monitor the animal’s body temperature, and the animal’s environmental temperature and humidity. When incorporating MeasurON! 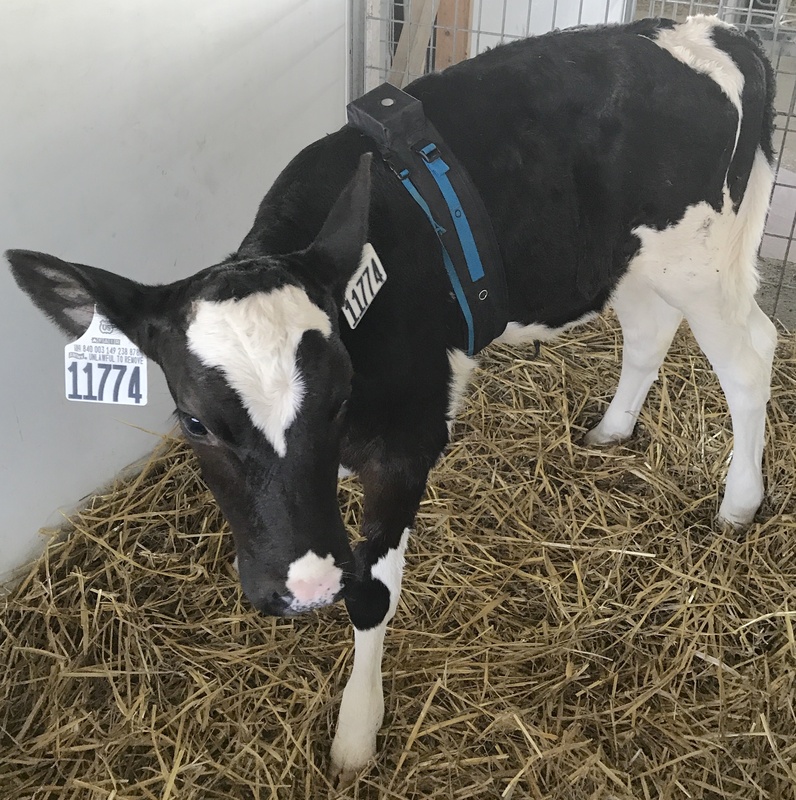 onto a dairy farm, VetMeasure will be able to enhance calf individualized care and management so producers may be alerted before heat stress occurs. To learn more about heat stress and how producers are caring for their calves, check out this article from Dairy Herd Management. PreviousPrevious post:MeasureON! Soft-Launch AnnouncementNextNext post:Demo Day and an Update!